Cryptocurrency is a hot trend for a reason; how might blockchain technology impact your enterprise moving forward? By now I'm sure you have heard of Bitcoin, and may even be kicking yourself for not buying and getting in on the ground floor. The technical term for what Bitcoin is, is known as cybercurrency or cryptocurrency. And while you may debate the merits or risks of whether or not to invest in this type of commodity, there is actually a very interesting and rather unique technology that was developed specifically for Bitcoin that is now being look at for other types of data network transport and transactions. This article will explore the technology behind cryptocurrency and the implications this type of technology may have upon your next-generation infrastructure. But first, to better help understand exactly how this technology works, and to satisfy those who are curious as to what cryptocurrency is all about, a little primer. Cryptocurrency is a "digital or virtual" currency. It uses cryptography as a means to secure and authenticate its transactions, thus making it difficult to counterfeit. Cryptography is a method of storing and transmitting data in a particular form, so that only those for whom it is intended can read and process it. As of November, it's estimated that there are between 1,300 and 2,000 different cryptocurrencies in existence, according to multiple sources. 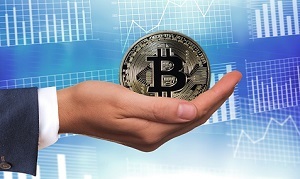 Bitcoin has been the first cryptocurrency to gain the public's attention; it is the largest cryptocurrency, followed by Ethereum, Bitcoin Cash, Ripple, and Litecoin. All cryptocurrencies together, the market value surpassed $600 billion for the first time recently. One of the attractions of cryptocurrency is that there is no government oversite, and its value is solely determined by market forces. A new cryptocurrency can be created at any time by private investors. Bitcoin was launched in 2009 by an individual or group known under the pseudonym Satoshi Nakamoto. As of September 2015, there were over 14.6 million Bitcoins in circulation, with a total market value of $3.4 billion. Over the past year, Bitcoin has exploded in popularity and value, with 1 Bitcoin equal to nearly $17,000 U.S. as of this writing. Bitcoin's success has breathed new life into existing competing cryptocurrencies and paved the way for dozens of newcomers such as Litecoin, Namecoin and PPCoin. Financial transfers between two cryptocurrency parties are enabled through the use of public and private security keys. The fund transfers are done with minimal processing fees, and users can avoid high fees charged by banks and financial institutions for more traditional services like wire transfers. Blockchain essentially establishes an online ledger of all of the transactions that have used this particular form of online data transmission, thus providing an authentication trail and data structure that has limited exposure to threats and hackers. The entire blockchain transaction can be copied safely (i.e. from computer to computer) with little fear of it being hacked or compromised. People often get bogged down in technological complexity when trying to understand blockchain, but the basic concept is a simple and universal one. We have facts and information we don't want accessed, copied, or tampered with, but on the internet, there's always a chance it could be hacked or modified. Blockchain gives us a constant--a bedrock we know won't change once we put something on it and where a transaction will be verified only if it follows the rules. One interesting aspect of Blockchain is that it is actually stronger the bigger it gets. The more nodes a blockchain has, the stronger and more trusted it is. Transactions are constantly monitored, verified, and stored in a "block," linked to a preceding block (creating the "chain"). For a transaction to be validated, it must be tied to the preceding block. All transactions are timestamped and store the transaction data, thereby making it very difficult -- if not impossible -- to hack into the block and insert a bogus transaction. We are starting to see blockchain technology used for different types of applications other than bitcoin, such as online voting, crowdfunding, and for use in major financial institutions like JP Morgan Chase. For all intents and purposes, blockchain is a "digital ledger;" because of its unique storage and authentication process, it can be used to record important documents and events such as birth certificates, marriage licenses, medical records, bank accounts, insurance claims, and votes, among others. One example of how blockchain is being used in the real world comes from virtual reality company High Fidelity. It recently created something called Avatar Island, which is a virtual reality domain where users can buy and sell items based on a blockchain service. Another example comes from Storj, which is beta testing the concept of developing cloud storage based on a blockchain-powered network. There are indeed some major challenges in implementing widespread use of blockchain technology; however, not all are technical. One major hurdle is regulatory approval. Add to that the cost and time of developing the software to run custom applications, and the need to implement a method to allow blockchain networks to connect to current back-end office systems and business networks. Other issues that still need to be addressed include the challenges of seamlessly interfacing with other operational processes and security concerns. Although blockchain is touted as safe (difficult to hack), we in the technology space know that anything that can be created can be hacked. Blockchain may just be harder to hack; even if a malicious party is not able to gain access to transaction data, the potential exists for them to do other harm like disrupt a blockchain operation, ultimately causing system malfunction. Or, malicious parties could try to put through bogus transactions with forged documentation. In short, there are other ways your business can be impacted than simply the theft of transaction data. Interesting to note, blockchain is being used for both private and public ventures. While Bitcoin is an example of a public blockchain (allowing peer-to-peer transactions), R3 is an example of a private venture, and is a platform being developed by more than 80 financial institutions, Microsoft, and IBM. "Private," in this context means that only members that are part of that network can participate; it is not open to the general public. "For the past few decades, we've had the Internet of information," says Tapscott. "When I send you an email or a PowerPoint file, I'm actually not sending you the original; I'm sending you a copy. That's great, and it has democratized information. But when it comes to assets; things like money, financial assets like stocks and bonds, loyalty points, intellectual property, music, art, a vote... sending you a copy is a really bad idea. If I send you $100, it's really important that I don't have the money afterward. It would be impossible to discuss all of the nuances of blockchain. Blockchain may still be in its infancy, but with the promise of more secure data transfer, lower cost fees, the ability to be adapted to almost any industry, privatized transactions... not to mention established companies like IBM and Microsoft and startups heavily investing in this technology, the one sure bet you can make is that if your company is not looking at blockchain now, it will be in the very near future. And if it doesn't incorporate blockchain into its future strategic growth plans they will not be able to compete in the new world of cyber/cryptocurrencies.